The mission of Time in a Bottle INC is to provide precious “time” to families that are dealing with the hope and care of their loved ones becoming survivors of not only cancer, but any other life threatening illness that requires multiple hours away from home and family. Help us get out to the Families that need us! If you, a close friend or loved one is caring for loved ones with any life threatening illness and would like to be considered to be a Recipient for Time in a Bottle please fill out the form below and we will review the application within 24 hours of submission. We thank you for your support and interest. Please include dates for Chemotherapy and Radiation. Other illness besides cancer? Please tell us about it. Meet Kristine! That’s her standing next to Goofy. 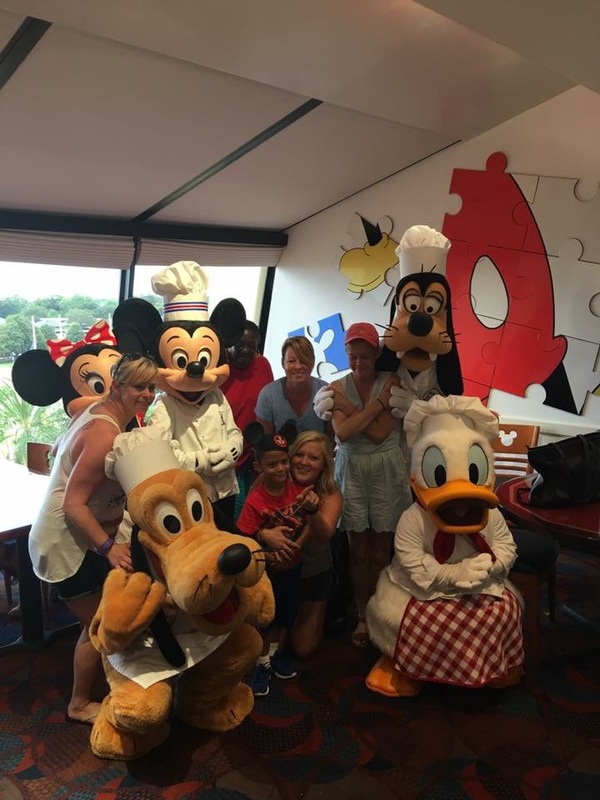 We were lucky enough to take Kristine and her son to Disney for a last trip together. She is out 2017 Time in a Bottle Ambassador. I’m sorry to say Kristine is no longer with us.